Are Expired Drugs Safe to Take? Have you ever reached for a box of Aspirin or pulled a prescription drug bottle out of your cupboard and turned it over to find that according to date on the packaging, it was expired? Is it time to toss the medicine? Or can you still safely ingest it? What is the best plan of attack in this commonly encountered scenario? What does a drug’s expiration date mean? 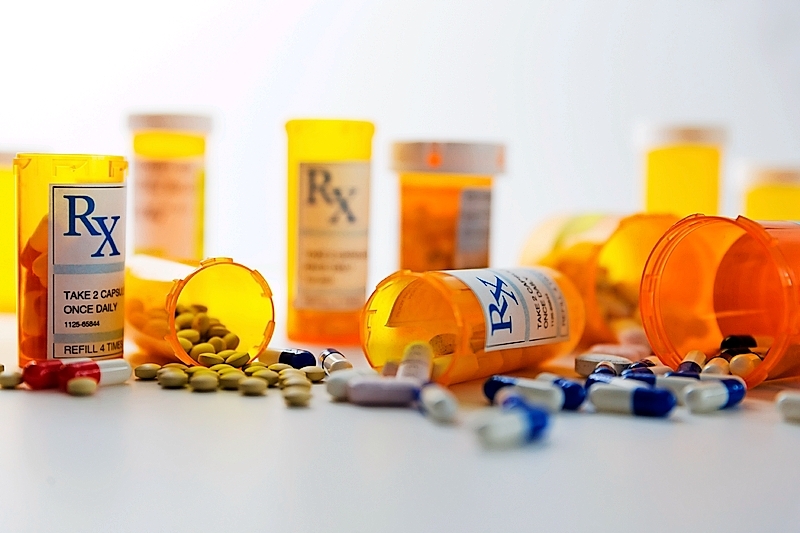 In 1979, the Food and Drug Administration (FDA) began requiring that drug manufacturers label containers of prescription drugs and over-the-counter medications with an expiration date. This date is usually printed on the label of a bottle of pills or stamped somewhere on the box or carton of a medication. Typically, the date is denoted on the packaging as “EXP,” which is followed by a month and year. This date is meant to advise customers on how long a drug manufacturer can still guarantee the full potency and safety of a mediation. But medical authorities are quick to state that many expired drugs are safe to take years after their expiration date. According to a report by Harvard Medical School, it’s true the effectiveness of a drug may decrease over time, but much of the original potency still remains even a decade after the expiration date. And modern research has shown that drugs are often just as effective well past the dates that their packaging says that they have expired. The majority of medications are given expiration dates of one to five years from their creation date. But experts say that this number doesn’t necessarily coincide with a drug’s long-term safety or effectiveness. “All [the expiration date] means from the manufacturers’ standpoint is that they’re willing to guarantee the potency and efficacy for the drug for that long,” explains Lee Cantrell, a professor of clinical pharmacy at the University of California, San Francisco, who also served as the lead author on the study. “It has nothing to do with the actual shelf life.” And per the findings by Cantrell and his team, their research “provides additional evidence that many prescription pharmaceuticals retain their full potency for decades beyond their manufacturer-ascribed expiration dates.” Thus, the team advises that the current practices of drug expiration dating be reconsidered, especially due to the potential cost-savings benefits to consumers. Mohammad Nutan, an associate professor of pharmaceutical sciences at the Texas A&M Health Science Center, in Kingsville, notes that the drugs tested in Cantrell’s study were in their original containers and were unopened. Therefore, how a drug is stored may play a huge role in its effectiveness down the line. “Medications that are already opened or those stored in less than optimal conditions might be a different story altogether, since humidity, temperature, and even exposure to light can all affect how well a drug stands the test of time,” he explains. For this reason, it’s important to store medications in a cool, dry place, away from bright light. Also make sure to always check the label of your prescriptions and over-the-counter pills, as there are always exceptions to this rule. Insulin, for instance, needs to be refrigerated before opening. The issue with expired medications usually involves exactly how potent the drug will still be. “If the expiration date passed a few years ago and it’s important that your drug is absolutely 100% effective, you might want to consider buying a new bottle,” says a spokesperson for Harvard Medical School. In rarer cases, expired drugs with unstable ingredients could be dangerous to take. So swapping that expired bottle of pills out for a new refill is always the safest route. Expired medical products can be less effective or risky due to a change in chemical composition or a decrease in strength. Certain expired medications are at risk of bacterial growth and sub-potent antibiotics can fail to treat infections, leading to more serious illnesses and antibiotic resistance. Whether or not an outdated prescription can be safely used boils down to a variety of factors, like the way the drug is stored and the stability of its active ingredients. For that reason, remember to always consult your doctor or pharmacist for questions about expired pills.